We start with the research and develop your initial Twitter marketing strategy. Our process includes doing a competitive analysis, find potential opportunities, and create a content strategy. We will present you a complete roadmap for success with Twitter marketing. Twitter is more of a content-based platform where content is truly king! So, we develop your content and tweets based on your brand and the audience. As part of our quality assurance process, these tweets are prepared in advance for the next month. So you will always have an option to review and approve the content calendar. Twitter management includes the activities to grow your followers as well as your reach. Our Twitter experts will use hashtags, contests and other organic tactics to keep growing your follower base. 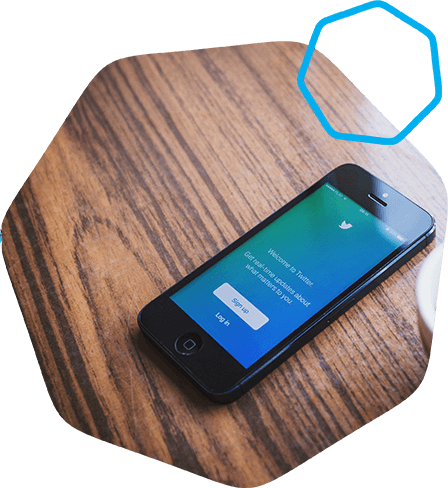 Twitter advertising includes running promoted tweets in order to engage your audience as well as grow your followers. We also make sure that you get high-quality traffic from your promoted tweets. We also provide Lead Generation via twitter ads. We also monitor your accounts daily and keep track of the activities like comments, reviews, and messages. We generally respond to all queries within the 24 hours window. At the end of every month, you will receive a custom report for your account with all the details. We specialize in Amazon ads management. With over 100 million users worldwide, Amazon is a place for businesses to reach their preferred target audience with precise accuracy.